"She draws in several styles but is most well known for her naive, small style that she used in several of her book publications." Maaike Hartjes started with a maths education before choosing a Art Academy. She draws in several styles but is most well known for her naive, small style that she used in several of her book publications. Besides her own publications she draws for several magazines and illustrates book publications of others. 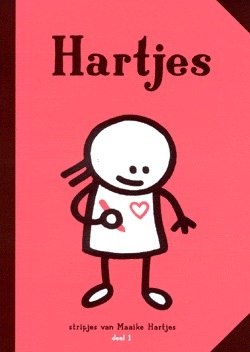 Hartjes is named as one of the Ditch Big Three (togehter with Gerrie Hondius and Barbara Stok), most well known for their female autobiographical work.